Vintage Crime/Black Lizard, 9781400096152, 384pp. 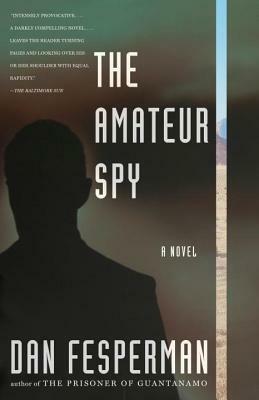 The Amateur Spy recasts the spy novel for the post-9/11 world—anyone might be watching, everyone is suspect. Freeman Lockhart, a humanitarian aid worker and his Bosnian wife have just retired to a charming house on a Greek island. On their first night, violent intruders blackmail Freeman into spying on an old Palestinian friend living in Jordan. Meanwhile, in Washington, D.C., a Palestinian-American named Aliyah Rahim is worried about her husband, who blames their daughter's death on the U.S. anti-terror policies. Aliyah learns that he is plotting a cataclysmic act of revenge; in a desperate effort to stop him, she flies to Jordan to meet her husband's co-conspirators. There she encounters Freeman neck-deep in his own investigation. As their paths intertwine, the story rises to its fast-paced, explosive climax. Dan Fesperman is a reporter for the Baltimore Sun and worked in its Berlin bureau during the years of civil war in the former Yugoslavia, as well as in Afghanistan during the recent conflict. His novel Lie in the Dark won the Crime Writers' Association of Britain's John Creasey Memorial Dagger Award for best first crime novel and The Small Boat of Great Sorrows won their Ian Fleming Steel Dagger Award for best thriller.